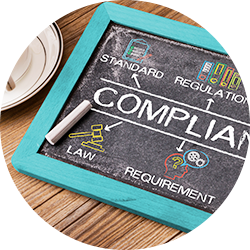 Environmental compliance is complex and often confusing, comprised of rules and regulations at the local, state, and federal levels, not to mention those related to your industry or business practices. Noncompliance by businesses or their employees can result in high monetary fines, facility downtime, accidents, lawsuits, negative publicity, and negative environmental effects that reflect poorly on your business. We help you avoid these issues through compliance and support services that include reporting, audits, plans, training, and more. We also help in the event of litigation by negotiating with agencies and offering expert witness testimony. 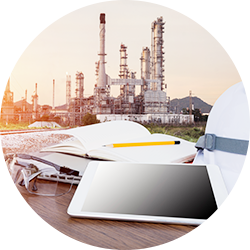 We offer expert, comprehensive compliance and support services that include on-site support, reporting, customer and corporate compliance audits, regulatory applicability evaluations, site remediation, and waste management unit closures. Many of our staff have worked in industry that understand and are well versed in the complexities of interpreting the regulatory speak into common work practices. The complex regulatory landscape can result in litigation and enforcement issues. 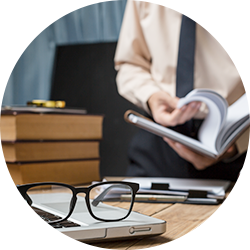 We help businesses address enforcement and litigation by negotiating with agencies on their behalf and offering expert witness testimony in litigation proceedings. Environmental plans and training are key to remaining in compliance. We support environmental compliance efforts through services that encompass SPCC and SWP3 plans, contingency plans, facility response plans, and pollution prevention plans.